Opened in late 2016, this is one of the newer links in the Dandadan Sakaba chain that has been growing at an eye-popping pace since its founding in 2012. 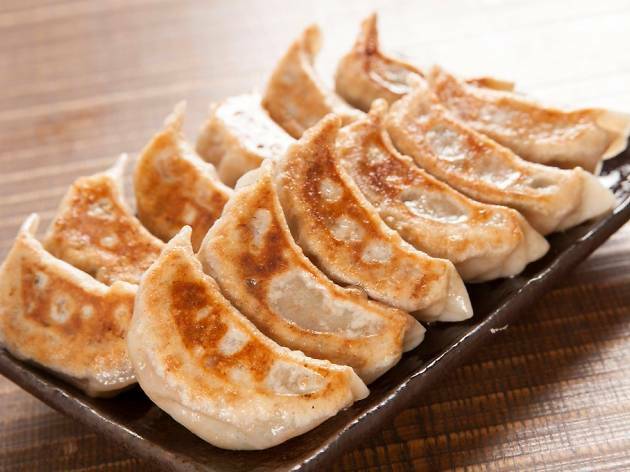 Centred on Chofu, where a spacious workshop turns out the izakaya empire’s much-vaunted gyoza, it now operates more than 30 branches all over western Tokyo and a few further east and south as well. The concept at Dandadan is wonderfully simple: above-average Chinese-inspired grub and basic beer on tap accompany the pan-fried, thick-skinned, plump and juicy dumplings (¥450 for six). 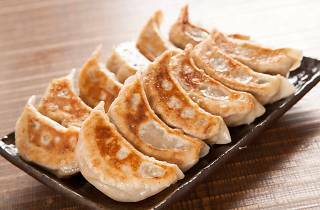 The gyoza can also be bought to go, in either cooked or frozen form. There really isn’t anything particularly special about the place (unless you count the almost unnaturally genki staff), but it plays the role of reliable Friday night izakaya extremely well.